Do you want to invest in mutual funds that shine brightly for a short while... and then disappear? Or, do you want 'golden' funds in your portfolio, that will glitter for many years? If yes, focus on the quality, not merely the returns! Most people take the convenient route, of investing in funds, that have delivered the maximum returns. This, however, is a very simplistic and dangerous approach. As I had earlier demonstrated, mutual fund rankings can be quite deceptive and misleading. Instead, you have to focus on the "quality" of returns too. There are many key characteristics, that determine the quality of the returns generated by a mutual fund scheme. This includes PE Ratio, AUM, Portfolio Concentration, Turnover, Sector Allocation, Distribution across different Market Caps, and last but not the least... Risk. In this post, let's explore how to identify the 'least-risk' funds. In this regards, the following statistics play a key role. This determines the inherent volatility of the fund. It indicates how 'consistently' the fund can deliver its average returns. Suppose Fund A has delivered 10% returns in each of the last 5 years. Since there is no change in the returns, the Standard Deviation is Zero. It is a very steady fund, which is not at all volatile. Fund B, on the other hand, has delivered 10%, -5%, 20%, 10% and 15% returns in last 5 years. Though average returns of Fund B is again 10%, it has come with lot of volatility. As is evident, all other things being equal, if you have to choose between two funds whose average returns are the same, the one with lower standard deviation is a more prudent choice. You can expect to earn your returns with less fluctuations (and less butterflies in your stomach). This gives you a broad idea of the returns you can hope to make. Beware! Standard Deviation only talks about the funds' inherent returns. It does not tell how good or bad its performance has been, in relation to the market or the benchmark. For that, you have to look at its Beta. This determines the volatility of the fund with respect to the market. It indicates how much the funds' returns would fluctuate, with the market fluctuations. So if Beta of the fund is 1.25 and the market falls by 10%, the fund would probably fall by 12.5%. Or gain 12.5%, if the market is up 10%. Alternatively, if Beta is 0.5 and the market falls by 10%, the fund would probably fall by only 5%. Or gain just 5%, if the market is up 10%. Clearly, lower the Beta, more stable the fund. It is a fund that is less sensitive to the ups and downs in the market. So investors who are relatively risk averse, should stick to low-beta funds (all other things being equal). While, aggressive investors may like to bet on high-beta funds. Wait! In some cases, beta may not be a reliable indicator. To ascertain whether you can use beta in your investment decisions, you have to look at R-Squared. This determines how closely are the fund and the market co-related. It indicates how much of the funds' movement can be explained by the movement in the market. Value of R-Squared may vary from 0 to 100. Zero means no co-relation and 100 means perfert co-relation. For example, an index fund will move very closely with the market. So its R-Squared would be close to 100. Whereas, if a fund has R-Squared of only 20, then only 20% of its movement would be linked to market movements. For example, gold funds usually have low R-Squared, because gold prices are not affected by the equity market. Therefore, if the R-Squared is low, beta is not the right indicator of funds' volatility vis-a-vis the market. Typically, 75-100 is considered as good co-relation and you can meaningfully use beta in your decision making. If not, ignore the beta. Remember! R-Squared does not say whether a fund is good or bad. It only says how closely are the fund and the market co-related. For example, international funds may be a good investment, even though they have almost zero R-Squared as there is no co-relation to the Indian Markets. Don't just look at the absolute returns of a mutual fund; look at its quality too. This determines the fund manager's role. It indicates how much better (or worse) has the fund performed as compared to its benchmark. If it has delivered more returns than what was expected from its beta, its alpha is positive. Vice versa, if it has under-performed compared to the market, the alpha is negative. Alpha is the value addition (or subtraction) by the fund manager, by virtue of his/her superior (or inferior) stock selection. Naturally, why would you pay a fund manager if he can't beat the market. You might as well buy the low-cost index funds. Again, (all other things being equal) higher the alpha, better is the fund, as it benefits from the skill and expertise of the fund manager. Of course, for alpha to be a valid indicator, the beta should be reliable (which, as discussed earlier, is the case if the R-Squared is more than 75). This measures the risk-adjusted performance of the fund. It indicates whether the high returns are primarily due to better stock selection or higher risk. Naturally, higher the Sharpe Ratio, the better it is — as it is giving more returns for the same level of risk. A fund that can deliver same returns with lower risk is always a better choice (again, all other things being equal). This is an improvement upon the Sharpe Ratio. In Sharpe Ratio, the normal Standard Deviation is used to calculate the risk-adjusted returns. Whereas in Sortino Ratio a modified version of Standard Deviation is used. Normal Standard Deviation includes both the upward and the downward volatility. However, upward volatility is not bad. It only adds to the returns. What people don't want is the downward volatility. So, for Sortino Ratio only the Standard Deviation of the 'downward' volatility is calculated. The 'upward' volatilities are ignored. This indicates the downside risk. Again, like Sharpe Ratio, higher the Sortino Ratio, the better it is — as it is giving more returns for the same level of risk. Concluding, don't be fixated with the returns that the fund has delivered. You must also consider (a) how stable those returns have been and (b) how much risk the fund has borne in generating those returns. 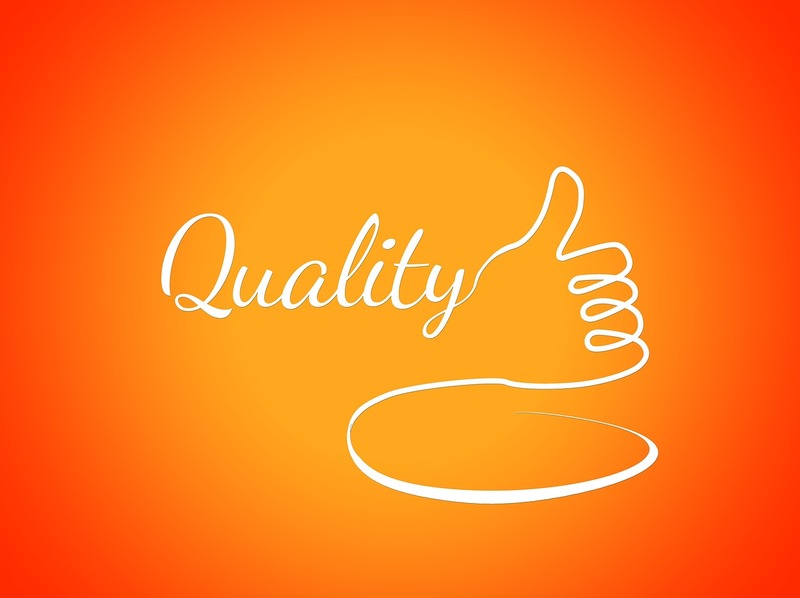 In short, the quality of returns matters! Caution: As you may have noted, at many places I have used the phrase 'all other things being equal'. This means that you have to apply these numbers in the right context. Like rankings, you cannot put your blind faith in them. By the way, the above parameters are more pertinent to equity-oriented funds. This is so because equity markets are lot more volatile than the debt markets. For identifying the 'least-risk' debt funds, certain other parameters are more relevant. I will discuss them in my next blog post.